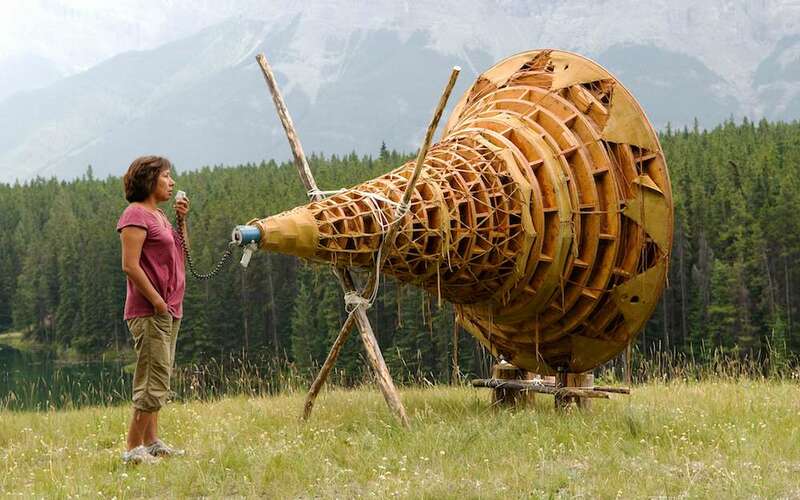 Rebecca Belmore activating her work Ayum-ee-aawach Oomama-mowan: Speaking to Their Mother, 1991, at Banff National Park in Alberta, Canada. Courtesy the artist. Pelican Bomb is excited to announce an arts reporting collaboration with NOLA Media Group beginning this November. This three-month pilot coincides with “Prospect.4: The Lotus in Spite of the Swamp” and offers in-depth coverage of the citywide contemporary art triennial on NOLA.com and in The Times-Picayune. The partnership is an affirmation of Pelican Bomb’s commitment to publishing regular arts criticism in New Orleans to serve local artists, writers, and audiences. Since its launch in February 2011, Pelican Bomb has been New Orleans’ home for critical writing and thinking about art. Now over six years into its mission to support and celebrate the contemporary visual arts in New Orleans by creating a lively, rigorous, and more inclusive culture of criticism, Pelican Bomb is happy to join forces with New Orleans’ oldest and largest news organization. It offers an opportunity to expand Pelican Bomb’s audience; invites a diverse group of writers to contribute to the paper; and guarantees that all New Orleanians have access to quality coverage of visual art in the city. On November 29, the partnership kicked off with an overview of Prospect.4 and will continue with ongoing coverage of the exhibition’s overarching themes, individual sites, and artist projects, as well as interviews with participating artists and video content. The goal is to help readers of Pelican Bomb, NOLA.com, and The Times-Picayune navigate works by 73 artists on view in 17 locations throughout the city. While many national and international publications have covered and will cover Prospect.4, Pelican Bomb and NOLA Media Group are in a unique position to lead a sustained conversation about the large-scale exhibition and the artworks it contains. “The opening of Prospect.4 brings a lot of attention to New Orleans from artists, curators, and press from around the world. As a local outlet, we can provide reviews, features, and interviews from the perspective of those living in the city, giving a context to this important art event for residents and visitors alike,” says Charlie Tatum, Pelican Bomb’s Editorial and Communications Manager. To fund this partnership, Pelican Bomb is looking to new strategies that marry journalism and philanthropic support. Coming at no additional cost to NOLA Media Group, the partnership is funded by Pelican Bomb through the generous support of Lambent Foundation and individual donors.